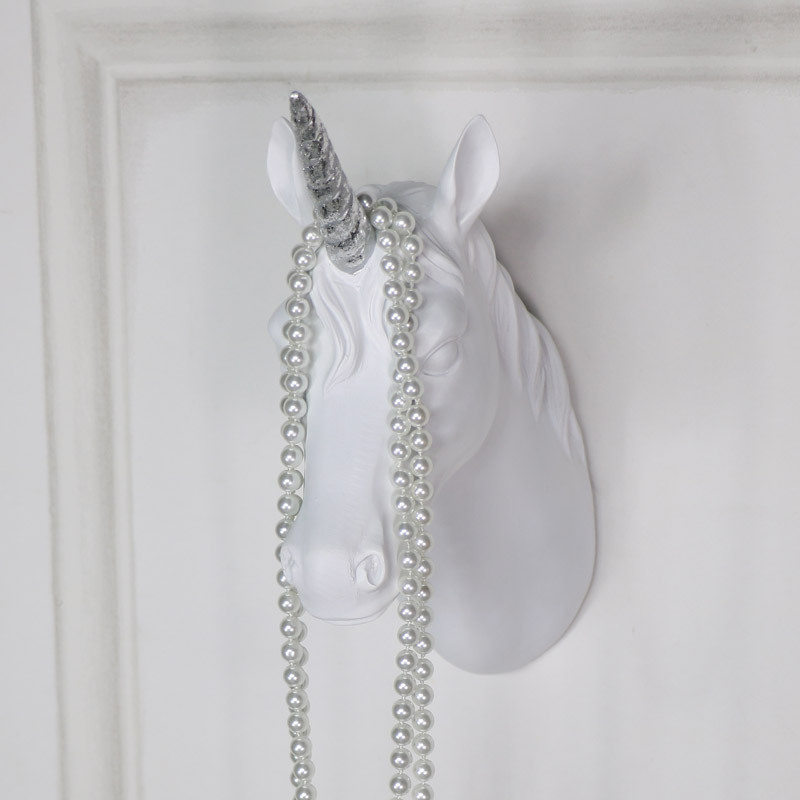 Add a little magic to your home with this beautiful wall mounted unicorn head with a shiny silver horn. This will make a great gift idea for children and anyone that loves unicorns. Perfect for creating a little sparkle, hang in the living room, hallway or bedroom. Ideal for a little princesses bedroom with unicorns being the 'must have' accessory. A wonderful addition to our extensive range of animal heads which are a more fun and friendly way off adding some animal magic to your home. 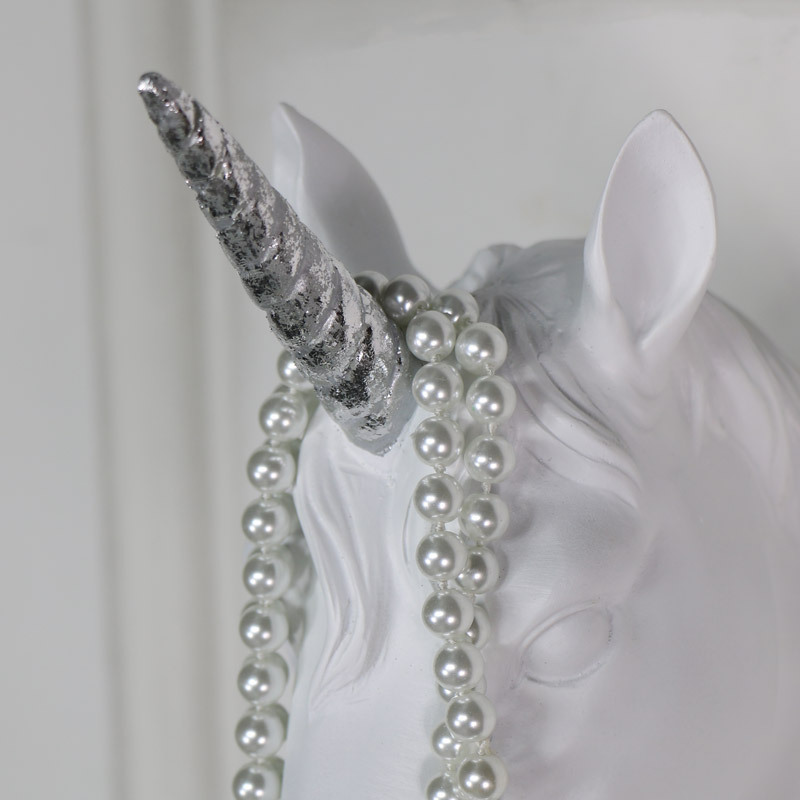 Add a little magic to your home with this beautiful wall mounted unicorn head with a shiny silver horn. This will make a great gift idea for children and anyone that loves unicorns. Perfect for creating a little sparkle, hang in the living room, hallway or bedroom. Ideal for a little princesses bedroom with unicorns being the 'must have' accessory. A wonderful addition to our extensive range of animal heads which are a more fun and friendly way off adding some animal magic to your home.